Advanced multi-functional formula for both domestic and foreign motorcycles. Excellent in air-cooled motorcycle engines due to high heat resistance. Can be used in engines, transmissions and the primary chaincase. Not recommended where an API GL-4 or GL-5 gear oil is required. Use in motorcycles that require 15W-50 or 20W-50 motorcycle oil and any of the specifications listed below, including those made by Harley-Davidson*, Buell*, Ducati*, Aprilia*, BMW* and Triumph*. AMSOIL Synthetic V-Twin Transmission Fluid is specifically designed for bikers who prefer a dedicated transmission fluid over a multi-use lubricant. Applications include Harley Davidson®, Triumph® and pre-2013 INDIAN® bikes. Can I use AMSOIL synthetic motorcycle oil without voiding my motorcycle’s warranty? Yes. Using AMSOIL synthetic motorcycle oil has no effect on motorcycle warranties. A federal law called the Magnuson-Moss Act (1975) prevents original equipment manufacturers from putting conditions on warranties attached to any product or service identified by brand, trade or corporate name, unless the manufacturer provides that product or service free of charge. This means consumers have the freedom to use aftermarket products of their choice without fear of losing the original limited or implied warranty. Will extending oil drain intervals void my motorcycle’s warranty? No. Extending oil change intervals will not void new motorcycle warranties. To affect the motorcycle warranty, it must be determined that the lubricant was directly responsible for the failure; if the oil didn’t cause the problem, the warranty cannot be voided, regardless of brand or length of time in use. AMSOIL 20W-50 Synthetic Motorcycle Oil and SAE 60 Synthetic Motorcycle Oil are the most commonly recommended oils for Harley-Davidson applications. 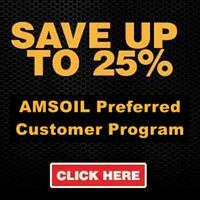 Check the AMSOIL Motorcycle Product Lookup for specific recommendations. AMSOIL 10W-40 Synthetic Motorcycle Oil contains a robust additive package designed for the extreme pressures and high temperatures common in motorcycle applications. Its high TBN retention also makes it the appropriate choice for extended drain intervals. In scooter applications, Formula 4-Stroke 10W-40 Synthetic Scooter Oil is the more economical choice. For the newer Big Twins, AMSOIL recommends 20W-50 Synthetic Motorcycle Oil (MVC) in the engine, transmission and primary chaincase. As secondary recommendations, Synthetic V-Twin Transmission Fluid (MVT) may be used in the transmission, and Synthetic V-Twin Primary Fluid (MVP) may be used in the primary chaincase. In older Harleys such as Knuckleheads, Panheads and Shovelheads, AMSOIL recommends SAE 60 Synthetic Motorcycle Oil (MCS). here in the USA... Superior, WI. Yes. In addition to different additive packages, withstanding extreme pressure, protecting against rust and withstanding high temperatures, motorcycle oils must be compatible with wet clutches. AMSOIL synthetic motorcycle oils are designed to meet the unique frictional requirements necessary for wet-clutch compatibility and provide maximum protection and performance in these applications.